This post has been edited a bit, if you want to see game updates, view the latest post. The player.... Um... whoever he is, shall be able to use WASD to move, L to Pause, and K and J to do other tat. 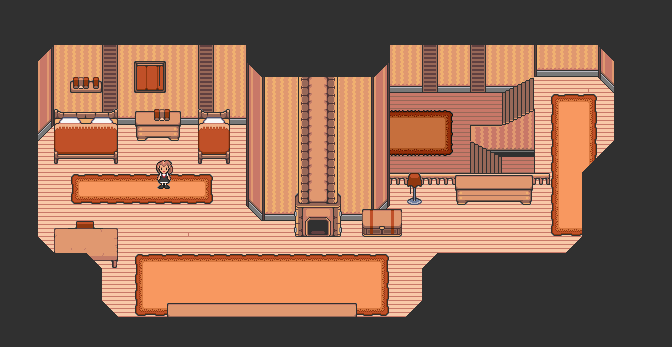 The player can run Mother-1 style by holding down the K key, because I didn't totally steal that idea. J does all the talking and stuff, because who the hell needs crazy commands when you have ten fingers like me? L Opens the pause menu, where you do... pause things! As for any other tat, I'm gonna just add a "yes or no" selection option and call it a day. The player will see enemies at the center of the screen, ONLY one enemy will happen per battle because balance. You attack by going into a "Metronome mode" Where you have wait and to press the keys in the pattern said. You can keep attacking until you mess up, but'll keep going faster and faster. There is also be extra nonsense to keep you at your knees. -Purple squares are just pushed, no biggie. -Green squares must be held while you press it. -Red squares will switch to a random colour when near the player metronome. -Orange will make 'em go faster. -White squares are OPTIONAL, but they drain HP for a hit. Items can be used at any time you want, but take up a turn, as expected. You'll have a limit of THREE members in your rave party. There is NO MP, FP, PP, or whatever the hell the hip new RPG games call it nowadays. Also, no attack or defense items, because this isn't bloody Sticker Star. It'll cost Pebbles to use junk in the stores. You'll be able to get them by doing mini-games hosted by "Top-Hatto". These minigames cost LUP (Level-up Points) to play, so be wary about how to manage your change. Good thing you can keep playing until you win, since Hatto is a nice dude. Selling is NOT possible. Because WHO THE HELL walks up and enters a store to sell stuff to people? You ain't an mobile stock seller. Only ITEMS can heal you. Do you really think you can just walk into a place to heal anytime you want? Heh, I wish. More junk will be added when I get more designs fleshed out. A concept art for an area. Back from hiatus, I guess? I have done a new art style for the game. Please tell me if it looks okay. Not too sure about the bottom and the right rug/carpet though. Their angle somehow looks a bit off. Probably because of their big size, its very noticeable. Been converting my outdated (And infringing) Under-may-may fan engine to become the proper game. Been trying to make a custom font because I don't wanna get sued over font royalties. Didn't go well. *Picture removed* Reason: Didn't want to show infringments. Been working on a sprite scratch-pad, too. The player character form the original post has been redone, and is getting anims right now. Others have not been done. Sorta also don't have motives to finish, since all them kiddos will scream at me because since it's an RPG, it's an Under-may-may rip-off. Would the default fonts Stencyl provides work? Or are those used under some sort of rights? I don't think it has ever been mentioned. I'd assume so, given that Stencyl is distributing them with their software... but I can't back that up. Found a font from Google fonts, so I assume I can use it? Also did something not many games, do - making the text boxes transparent so you can see behind them. I will make an option to set how visible you want them to be. Dunno how to set the text up like this. 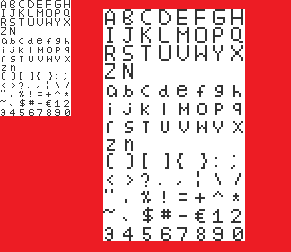 Edit: Here's the original font if someone wants to get it set up as a proper read-able bitmap font. I don't believe all of the fonts are licensed via SIL Open Font License. I always double check if I pull anything off of Google Fonts. Search for the font and you can usually find the license. Maybe ETHproductions could weigh in on this. I think this is his area. 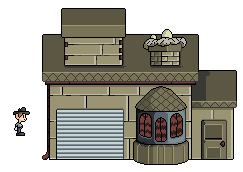 It was some Undertale assets I had left over from an engine test. Might just remove it if it looks no good. 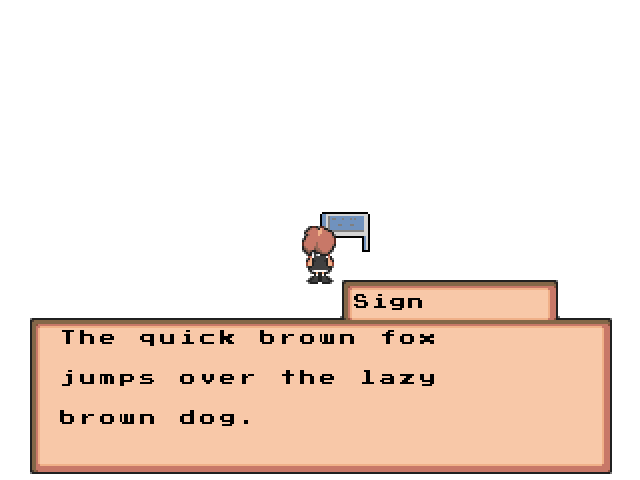 Added the name for NPCs/objects on the top-right of the text box. Might shrink it down. Any Undertale-related assets have been removed, to prevent issues and or controversy on how I am using placeholder/test graphics. And also, might give another try at a custom font. Even if it looks bleh. Better than going into confusion over how the fonts can be used. EDIT: Does this look better than before?